Files, folders, records, charts, books, photos, tapes, CDs and DVDs, evidentiary exhibits – in many industries, some form of physical media is central to the process of doing business. Information is gathered, retrieved, referenced, filed and moved from location to location for various types of processing. Some of these physical records, such as legal evidence, financial records or medical charts, must be carefully tracked to meet chain of custody or privacy requirements. Temporarily misplaced assets can be a serious problem, wasting hours of staff time and productivity. Even more serious is the liability exposure the organization could face should a critical file be stolen, tampered with or lost. Even though organizations in every industry are broadening efforts to digitize their records, the need to manage physical record assets will persist. The more important those assets are, the more time-consuming and onerous the manual systems to track them seem to become. When “good filing” and trust-based check-out systems aren’t enough, RFID offers a practical, affordable answer. An RFID file tracking solution automates the process of file tracking, providing fast inventory and location, rules-based access control and full compliance reporting. With RFID, you can virtually eliminate lost files, audit and fully document access and chain of custody, and improve productivity for every member of your staff who handles critical files. Using RFID technology, one can fully automate the tracking and locating of physical files and documents, including authorizing access, recording check-in/check-out, providing inventory counts and all associated reporting. Automation with virtually 100% accuracy means that the cooperation of the people using the files is no longer an issue. If a tagged document comes within range of a reader, its data will be captured. The figure above outlines how the RFID file tracking works within an organization. The process begins when a critical document is received. The file is commissioned into the RFID asset tracking system by adding a passive UHF RFID tag to the record. RFID tags are typically small adhesive labels that can be easily applied to files and folders, records and evidences. The tagged item is then received into inventory and added to the asset management database using a handheld or hands-free RFID reader. The components of the RFID FILE TRACKING System are shown below. 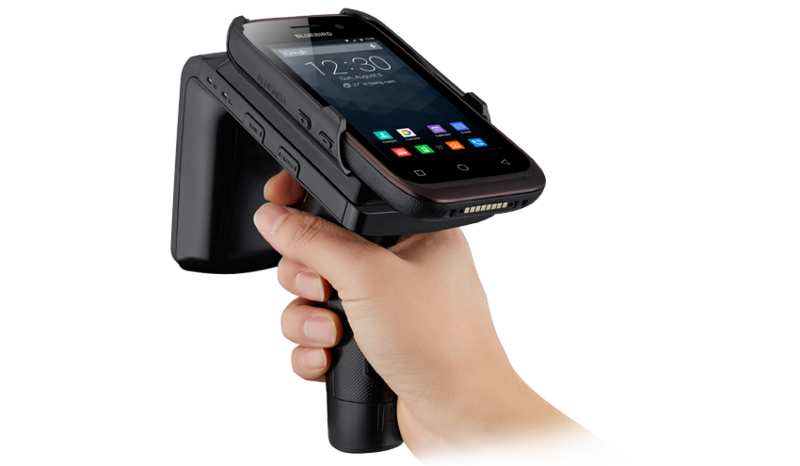 Handheld and hands-free RFID readers for commissioning, inventory and locating tagged files. Fixed readers for automating movement tracking at portal chokepoints or in aisles, on shelves and in storage rooms. RFID Antennas as per the Customer Application and Site requirements. Passive UHF RFID tags, available in sizes and configurations to suit virtually every type of physical record. 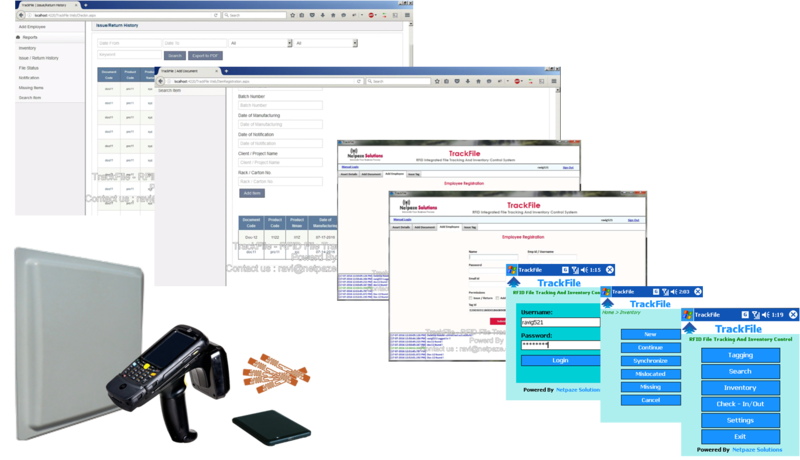 RFID File Tracking & Inventory Software.